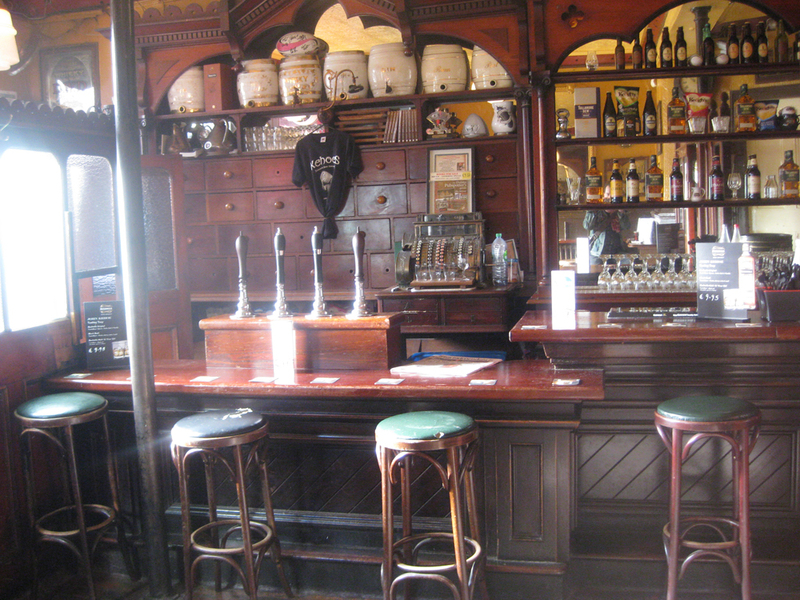 Historic Pubs of Dublin: O’Neills, Neary’s and Kehoe’s – Why Am I Not There? 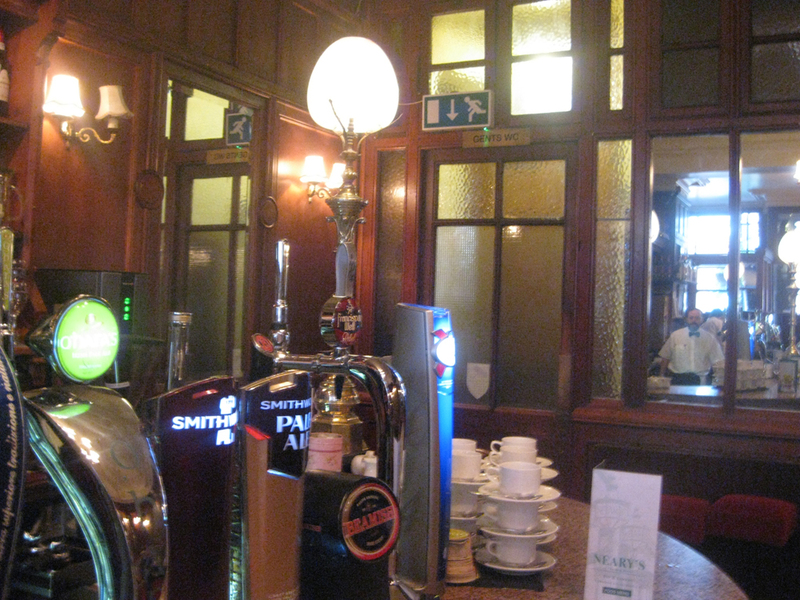 Continuing my look back on my visit to Dublin in 2014, I’m recounting the historic pubs that author Frank McCourt visited in his 2008 PBS show. Here are three others that should be on your itinerary. 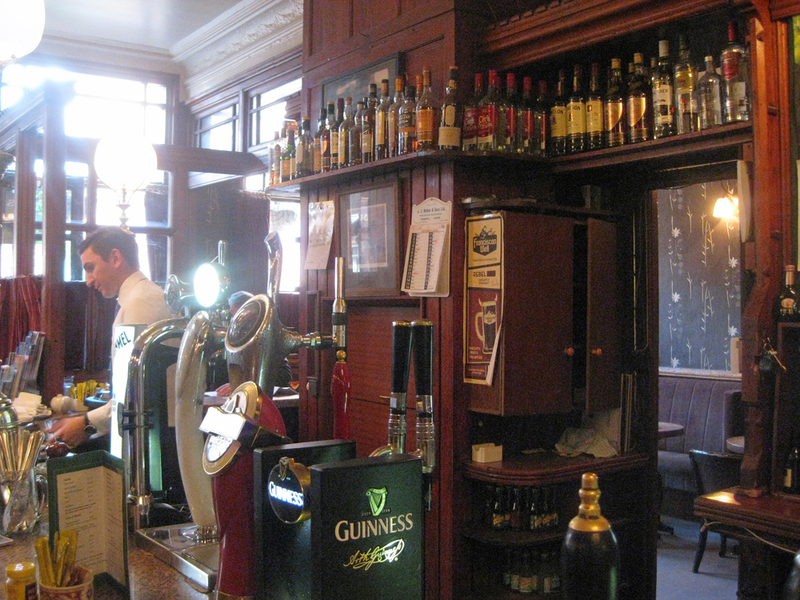 O’Neills is located right next to Trinity College to the West. After standing in line to get into the historic library and Book of Kells, you could use a pint. 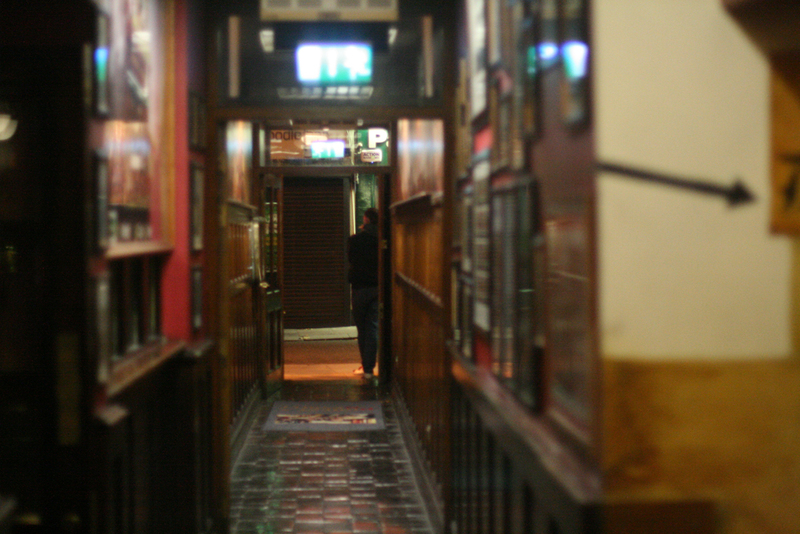 The 300-year old bar’s elaborate layout provides for excellent hiding places and discovery. For food, they have a carving station dolling out generous portions of corned beef. Even though the rooftop garden is great to look at, stick inside to get a real flavor of the history and to gaze at the stain glass windows and warm up by the fire. Located within a block of St. Stephen’s Green, Neary’s is distinguished by the brass lanterns along the buildings being held by extended statue arms. 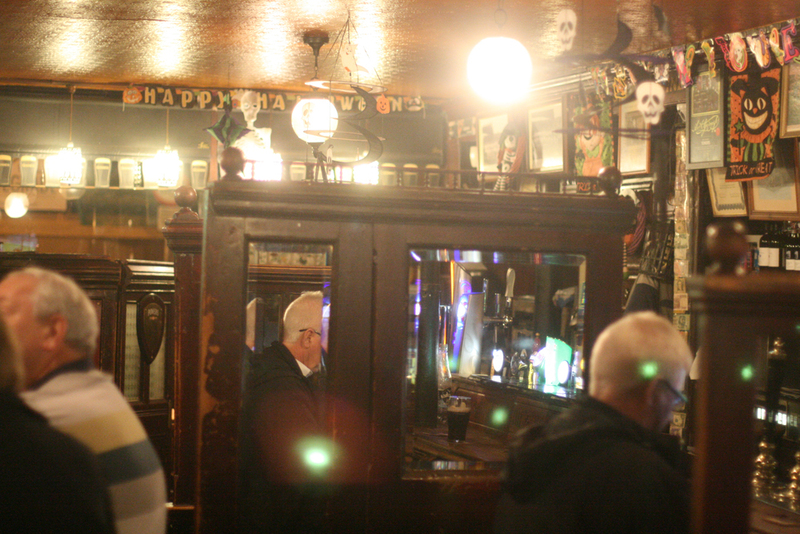 They might have survived when the bar was a rebel stronghold during the rebellion of 1916. Inside, the cozy spot makes a great place to wait out the frequent rains. You’ll likely trade barbs with the local actors from the nearby Gaiety Theatre. 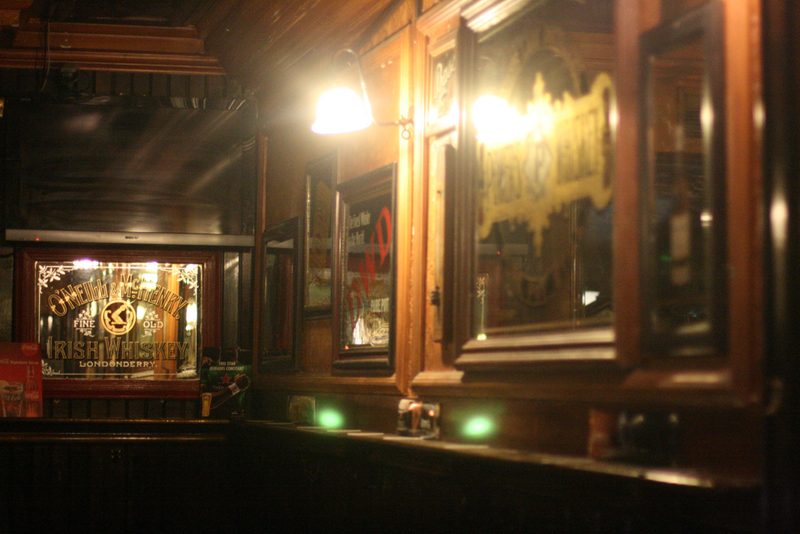 At one time, Irish pubs had a separate men’s and women’s sections. You can see the remnants of this at John Kehoe’s. The women’s only nooks had bells where they could ring for a drink, usually a sherry. It would arrive through a sliding window. Women wouldn’t order pints — just not lady-like. 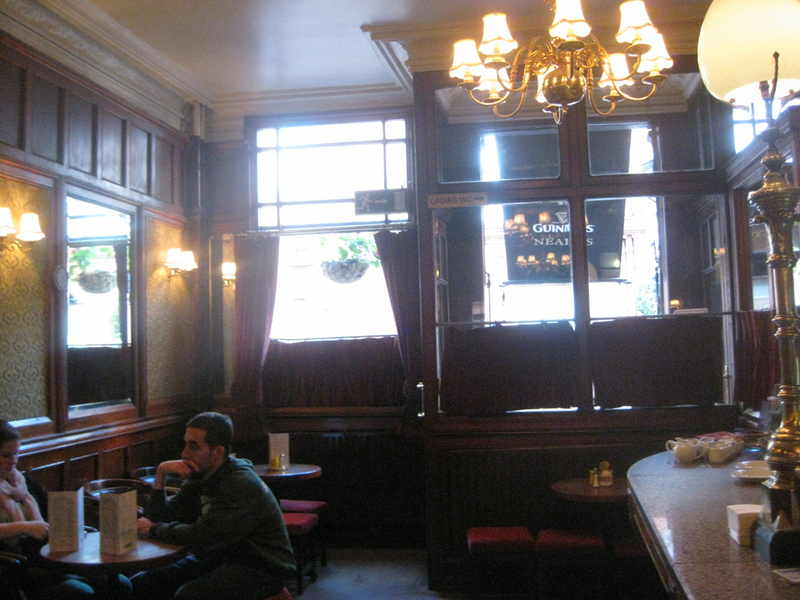 When I visited, two lawyers were occupying the snug and invited me in when I poked my head in. Thus, we struck up a conversation about how humid New York can get. You can see a lot of artifacts at Kehoe’s like the books, cash register and drawers where they kept food products that they use to sell to guests. Even the low doors haven’t been updated, so watch your head. It seems like whenever my husband and I travel, the first question we ask ourselves is “where should we drink?” I would love to visit these.